Shiatsu is a touch based body therapy, with its origin in Japan, balancing the body’s energy to restore or support a felt sense of wholeness, calm, contentment, aliveness. relief from pain. Scaravelli Yoga is a gentle flowing yoga paying particular attenton to freeing the spine through flowing movement and gentle stretching. A blend of different oil massage techniques, including Swedish, Deep Tissue and Lomi Lomi that are intuitively worked into a deeply relaxing and pain relieving session of 60 or 90 minutes. Uta Kaiser is a long term practitioner of Shiatsu, Japanese Massage, Intuitive Massage and Lomi Lomi. 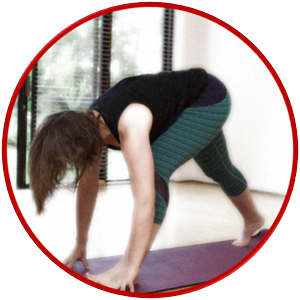 Uta also teaches and practices Scaravelli Yoga in various locations around Dublin. FOR MORE INFORMATION ABOUT TREATMENTS, CLASSES AND WORKSHOPS, PLEASE CONTACT UTA.